Anne works in our fundraising team. Every year she looks forward to combining her two passions of fundraising and baking at the Great CAFOD Bake Off. When I was growing up I knew that my parish’s annual pilgrimage to Lourdes was soon approaching. Not because of any announcements at my church, but due to the activity in my family kitchen. My busy mum did not have the time to volunteer on these pilgrimages, which travelled overland from Edinburgh to Lourdes. She did, however, offer her wonderful talent to it, through baking. In the days leading up to the pilgrimage I would come home from school, or wake up to the smell of baking, which filled our house. The kitchen surfaces were covered in baked treats, including family favourites of tea loafs, empire biscuits and fairy cakes. 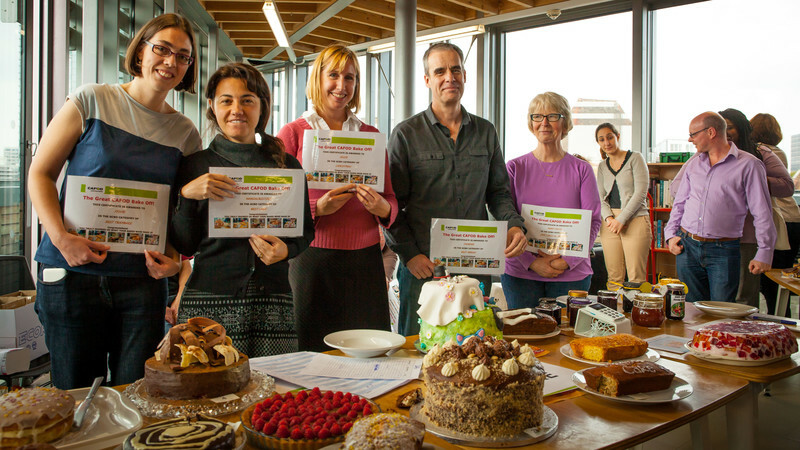 Have you held a cake sale or other fundraising event for CAFOD recently? Remember to pay in your donation.